Ms. Boyle brings close to twenty years of educational admissions, marketing and fundraising experience to her role at Boulder Country Day. She is passionate about helping families find an educational fit for their children that will support and develop both their academic skills, passions and character. When she is not working, Mrs. Boyle loves to travel with her family, both in the US and abroad. 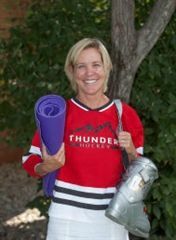 When home in her native Colorado, she loves spending time with her family, gardening, skiing, hiking and watching her son play baseball – lots and lots of baseball! Ms. Courter has been at BCD since 2005. She spent two years teaching third grade at BCD before moving into the position of Preschool, Extended Day and Summer Programs Director. 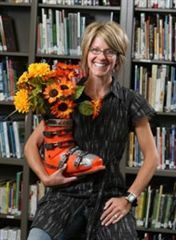 Ms. Courter’s educational background and experience include a Master’s Degree in Early Childhood Education, a Bachelor’s Degree in Community Health Education, and 14 years of teaching experience (seven years in Boulder and seven years in Garmisch-Partenkirchen, Germany) at both pre-kindergarten and elementary levels. 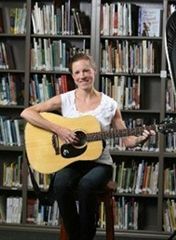 She also spent five years as a mentor teacher supporting University of Colorado Master’s Degree candidates in their education by helping the students develop an understanding of educational theory and classroom practice. Mrs. Griffith brings close to twenty years of both professional and philanthropic expertise to her role as BCD’s Director of Development and Alumni Relations. In fact, her volunteer work organizing BCD’s Love of Technology and the Arts auction from 2005-2007 is what led to the school creating a position for her in the first place! Before moving to Boulder from California with her family, she worked in development for Pasadena’s Kidspace Children’s Museum and La Cañada’s The Learning Castle School. Mrs. Griffith has a decade of sales experience in publishing. Early in her career, Mrs. Griffith co-founded the Manhattan Beach chapter for Heal the Bay. 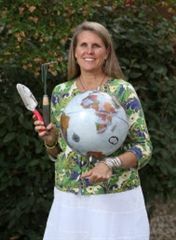 When she is not working, Mrs. Griffith likes gardening, landscaping, and helping friends re-design their gardens. She enjoys being outdoors and watching her three boys play soccer, baseball, and basketball. Prior to teaching at BCD, I enjoyed a two-year teaching fellowship in DC public schools as a part of the DC Teaching Fellows program. Before joining the BCD faculty, I also spent a year working for the Department of Education at the University of Colorado – go Buffs! If it is creative, innovative, challenging, makes me break a sweat, requires tools, or gets my hands dirty, I’ll try it! I am an artist, yoga student, traveler, vegetable gardener, aspiring guitarist, runner, designer, carpenter, and lifelong learner. Someday I hope to buy land, build my own house, and then paint all the paintings inside. Prior to working at BCD, I taught at an IB school in BVSD for 15 years. I have served as a classroom teacher, TAG Ed Advisor, and math and literacy interventionist for grades K-5. I enjoy biking, yoga, skiing and spending time with my family. I also spend LOTS of time driving our son to hockey games and cheering him on. John Suitor was raised in an independent school family and has enjoyed over twenty years living and working in independent school communities. Prior to becoming Head of School at Boulder Country Day, Mr. Suitor worked at St. Johnsbury Academy (a 9-12 grade day and boarding school), Long Trail School (a 6-12 grade day school), and Foxcroft School (a girls boarding school in Middleburg, VA). He also spent 17 years attending and working at Camp Timanous, a traditional Maine camp for 7-15 year-old boys. Mr. Suitor's father, also named John, is Headmaster at Aspen Country Day School. Mr. Suitor is profoundly optimistic regarding young people and believes that nurture, structure, and latitude are key factors in raising confident, successful, and resilient children. He is committed to cultivating a safe, positive, and challenging learning environment where an atmosphere of trust and respect inspire children to take appropriate risks and to reach their level of excellence. Mr. Suitor and his wife Gail were college sweethearts. 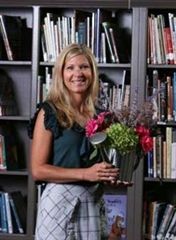 She is the co-Chair for the National Association of Independent Schools' Families First program and a full-time parent, They have been married for 23 years and have three children: Elizabeth, Madison, and Catherine. 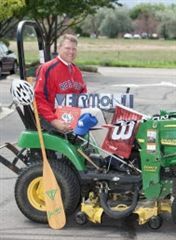 Mr. Suitor loves the outdoors, travel, and adventure, and is a certified sports nut. Ms. Tewey is a Certified Public Accountant and brings thirty years of experience in accounting, finance and human resources to her role as the Business Director. Prior to her joining the BCD administrative leadership team she was a Trustee on the BCD board for 6 years, 3 of which she served as treasurer. Ms. Tewey started out her career at KPMG Peat Marwick in Denver. In 1993 she left KPMG to join Lowe Alpine System, Inc. where she held the role of Vice President of Operations and Finance. In 2001 Ms. Tewey started her own CPA practice specializing in accounting, tax and financial consulting. When not working Ms. Tewey spends time with her husband, daughter and friends. The Teweys enjoy skiing together each winter and vacationing with family in South Carolina each summer. 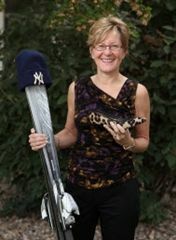 Ms. Tewey enjoys playing the piano, reading and watching baseball. Throughout her career Ms. Tewey has been involved in numerous charitable organizations, primarily helping in the areas of accounting, finance and fundraising. For the past seven years, Dan has worked at St. Andrew’s School an early childhood through grade 12 independent IB World School in Savannah, Georgia. There, he taught 5th and 6th grade science and literature before becoming the Middle School Dean of Students, the Assistant Head of the Lower School, and, finally, the Head of the Lower School. Prior to his time in Georgia, Dan taught at Clayton Elementary School in Englewood, Colorado, and later moved to Boulder and taught fourth grade at Superior Elementary School in Superior, Colorado. Dan is originally from Greely, Colorado.